The sudden rise of countries like China and India has captured serious attention among economists. Some papers explain it with the changing structure of their product mix and construct an export sophistication index to rank countries according to their comparative advantages. By starting from the discussions on product quality, this chapter investigates whether a more rapid progression up the comparative advantage ladder or a more sophisticated export basket results in a more rapid economic expansion. For this purpose, data from 115 countries for the period 1985 to 2001 are used. The results support the positive effect of export sophistication on growth. The authors also show that when a country progresses, its growth rate increases. Production of new goods is at the core of sustained growth. The classic endogenous growth model of Lucas (1988) suggests that product-specific learning should involve modeling the continuous introduction of new goods. Similarly, Stokey (1989) develops a general equilibrium model in which the introduction of new and better products is an integral part of the growth in a learning-by-doing process. 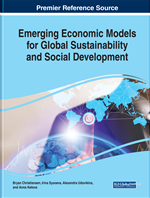 In this line of thought, Lall (2000a) sees the incorporation of new technologies into manufacturing and services as the main tool to compete in liberalized markets for both developing and developed countries. The author believes raising the long-term rate of growth requires a structural shift into more advanced technologies since technology-intensive activities are growing faster than other activities. In another article, Lall (2000b) gives the example of Turkey in which he claims that Turkey faces two aspects of difficulty in expanding and diversifying its export base. First, Turkey is a high-wage nation but it has to compete with low-wage countries in low technology products. Secondly, it has to compete against high-technology European firms, but Turkey is a technologically lagging economy. A large and growing body of literature has investigated how larger economies increase exports. While some assume that big economies export more in size but not in variety, others believe that they produce and export more range of goods. Vertical differentiation models, such as those by Flam and Helpman (1987) and Grossman and Helpman (1991), feature a quality margin, namely richer countries produce and export higher quality goods (Hummels & Klenow, 2004). For developing countries like India and China, the factor-endowments model falls short of explaining their growth success. For example, the information technology sector in India is one of the key sectors. However, India ranks low in other high-tech sectors, and is relatively well-endowed with unskilled rather than with skilled workers (Hausmann & Rodrik, 2003). Kwan (2002) proposes a method to measure the level of advancement of a country’s export structure based on the weighted average of the level of sophistication of the products composing it, and take China as a special case. Rodrik (2006) also finds that China’s export basket is more sophisticated than what would be expected for a country at its income level1. Hausmann et al. (2007) argue that it is better to specialize in products which bring higher growth than specializing in others. They propose an index called PRODY that ranks traded goods in terms of their productivity, by taking a weighted average of the per capita income of the countries exporting a product, where the weights reflect the revealed comparative advantage of each country in that product. Then, the income/productivity level that corresponds to a country’s export basket which measures the productivity level associated with a country’s specialization pattern is calculated using the first index (this second index is named EXPY). Building on these, Hausmann and Klinger (2006) discuss the two dominant approaches in determining what drives growth – the varieties model (Romer, 1988) which uses Dixit-Stiglitz production functions and the quality ladders model (Aghion-Howitt, 1992; Grossman-Helpman, 1991), which assumes a degree of homogeneity across products that eliminates the possibility to capture the impact of initial specialization. The mentioned article develops these two approaches and develop a new proximity measure. They suggest that changes over time in the revealed comparative advantage of individual nations are associated with the pattern of relatedness across products. As countries change their export mix there is a strong tendency to move towards related goods rather than to goods that are less related. For successful structural transformation, existing exports must have many close high value-added goods in the product space.